Hunters Estate Agents and Letting Agents Littleborough is located on Hare Hill Road, right in the heart of this bustling Pennine village, which sits at the foot of Blackstone Edge, showcased on TV as the scene of one of the most gruelling stages in the recent Tour de France. Director of Hunters Estate Agents and Letting Agents Littleborough, Peter Shimwell, who was born and bred in the village and has a wealth of experience and local knowledge in the property market, launched as a Hunters home based Personal Agent in early 2011, and sees the opening of the new branch premises as a natural progression. 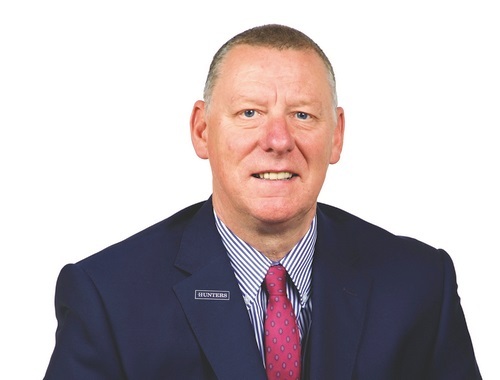 “My overwhelming driving force is to deliver a first class personal service to all buyers and sellers within the area, based on the principles of honesty, integrity, and trust, and I am proud that we can boast a 100% customer satisfaction rating over a lengthy trading period”. For a free, no obligation, sales or lettings valuation, or to register to let us help you find your dream home, contact Hunters Estate Agent and Letting Agents in Littleborough. Thank you for all of your help with our house move. You have been absolutely fantastic and always very reassuring. When any of our friends or family are moving we will definitely recommend you. We would like to thank you for all your hard work and persistence in achieving the sale of our house. Your advice and guidance helped us through a frustrating time and we really appreciated your professionalism and good humour throughout. We always felt that you had our best interests at heart and that we were valued clients. Thanks for all the work you have done, and the time you’ve spent on our behalf, all as a result of us being 6000 miles away – we really appreciate how you have gone “above and beyond” for us. We just wanted to say a big thank you for your commitment and total professionalism whilst working with us on the sale of our property. VAT Reg No: 109 6788 76 | Registered No: 07509299 | Registered Office: 349 Bury Old Road, Prestwich, Manchester, M25 1PY. A Hunters franchise owned and operated under licence by P & G Properties (Littleborough) Limited. The small town of Littleborough and its' neighbouring villages of Smithy Bridge and Wardle have become increasingly popular over recent years for a variety of reasons. Situated at the foot of Blackstone Edge, one of the highest points of the Pennine Way, the countryside offers stunning scenery and is extremely popular with walkers, cyclists and horse riders. Hollingworth Lake Country Park and Watergrove Reservoir are extremely popular and provide water sports facilities for both the beginners and the advanced. Renowned as a keen sporting area, the local cricket, rugby, golf and football clubs are thriving. With not one, but two, railway stations on the trans Pennine Manchester to Leeds line, commuting is straightforward. Access to the M62 and national motorway network is within 2 miles, and there are three major international airports within a comfortable distance. Tourism continues to increase with the recent development of the Leeds Liverpool canal, and several quality restaurants and bars have opened to add to the attraction of the area. In short, Littleborough is a lively, expanding area that has successfully retained its rural charm.